It’s here: Volume One of the official Guys Read library. 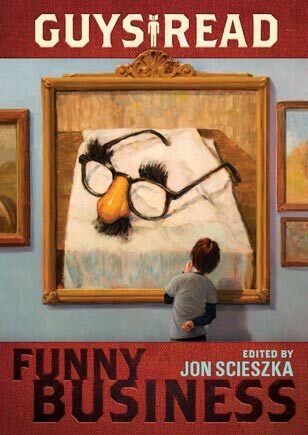 If you know the Guys Read initiative, you already know what you’re in store for: ten hilarious stories from some of the funniest writers around. Before you’re through, you’ll meet a teenage mummy, a kid desperate to take a dip in the world’s largest pool of chocolate milk, a homicidal turkey and more. Guys Read is all about turning young adult readers into lifelong ones – and we aim to leave no guy unturned.